Brian Smith was about wind in and go home when he hooked into this stunning common. The 52lb 10oz specimen, known as the Mommon, came from the Main Lake at Fryerning Fisheries in Essex and is a new personal best for the Billericay angler. The fish is one of four over 50lb in the venue and this capture is its highest recorded weight. 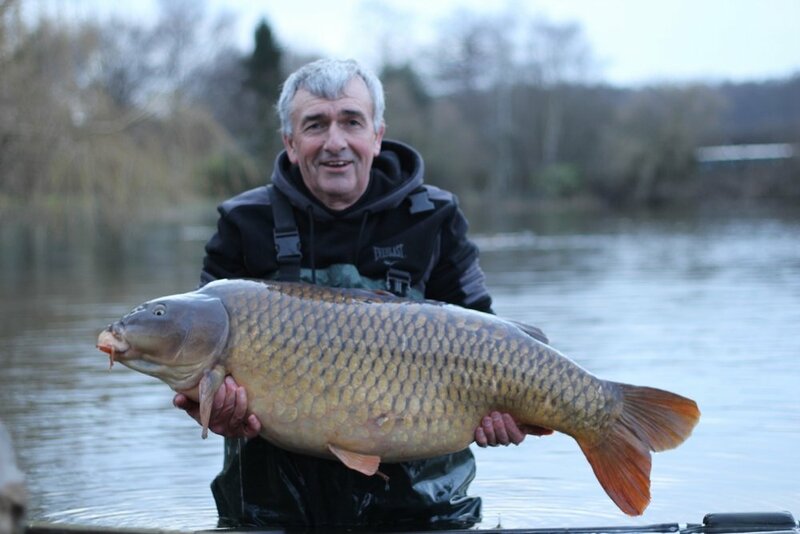 Fishery boss Charlie Knowles added: “Brian fished the opposite end to which is usually favoured by anglers in the colder months and caught after seeing showing fish in his swim. The Mommon fell to a Mainline Cell hookbait over a scattering of matching freebies. Brian used a lead-clip setup with a 2.5oz lead and a hooklink tied with Korda Kamo and a size 4 Korda Krank hook.